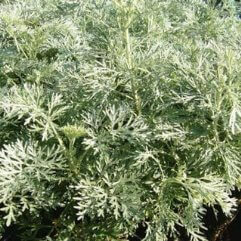 Wonderful, feather-duster like silver foliage. 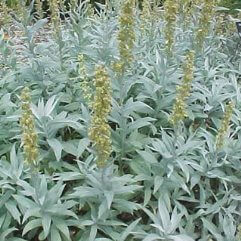 Heads of small yellow flowers in late spring to summer. Foliage has a lovely smell like bubble gum. 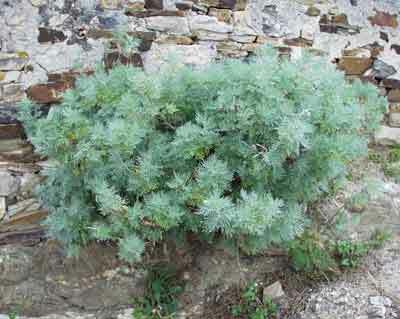 Uses; Lovely bright foliage for that dull corner, shrubberies or perennial border.